My husband is into dirt bikes and loves Metal Mulisha gear. 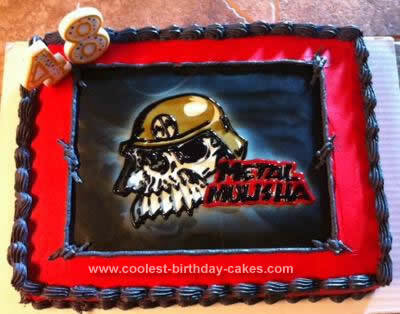 I made him this Metal Mulisha cake for his 48th birthday. I had a metal mulisha design printed out on a sheet of frosting and then decorated around it. He loved it! Where did you get the design printed? I can’t find anywhere to get one.